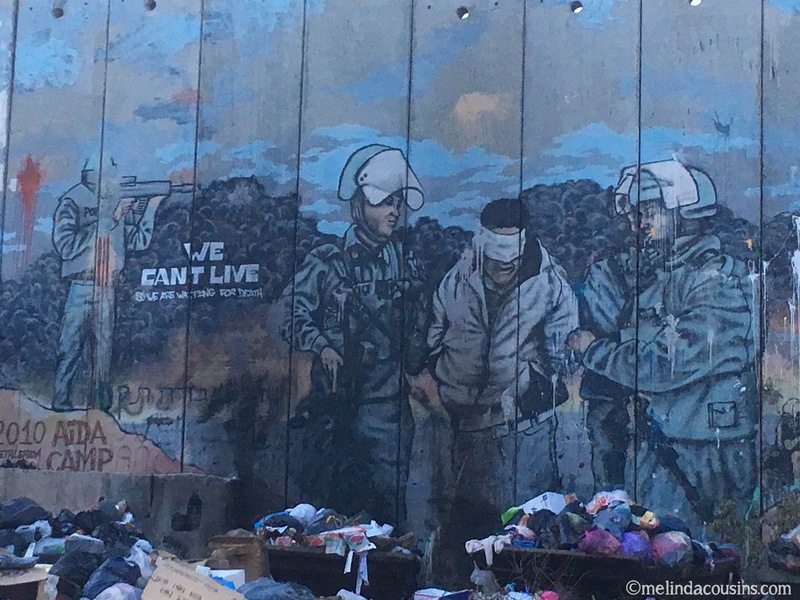 I spent most of April in Israel and the West Bank, perhaps my favourite part of the world, and also one of the places I find the most confronting, confusing, challenging and heartbreaking. 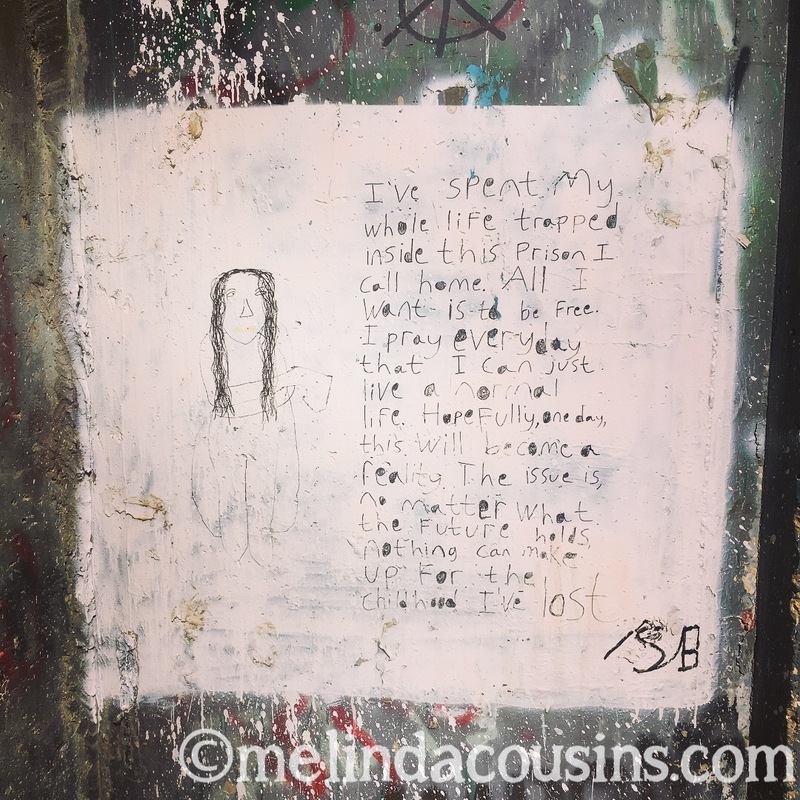 There is so much I want to share but so much I am still processing and so much I don’t understand. So much that I want those who live there to be able to share for themselves. It’s difficult when people ask for highlights to try to summarise what stood out. 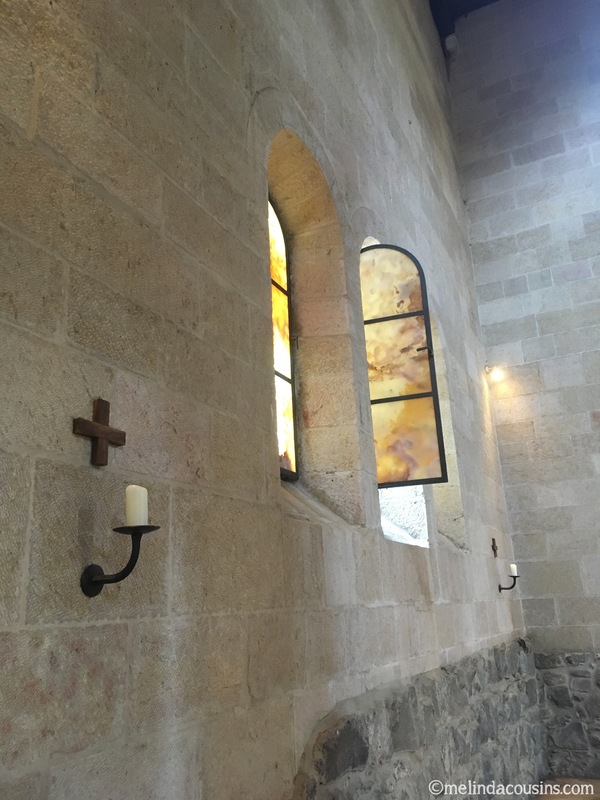 But looking through my photos from this trip, I was struck by the preponderance of these two images: walls and windows. Perhaps exploring them will capture something of all that I am reflecting on. Walls represent barriers, boundaries, and demarcations. 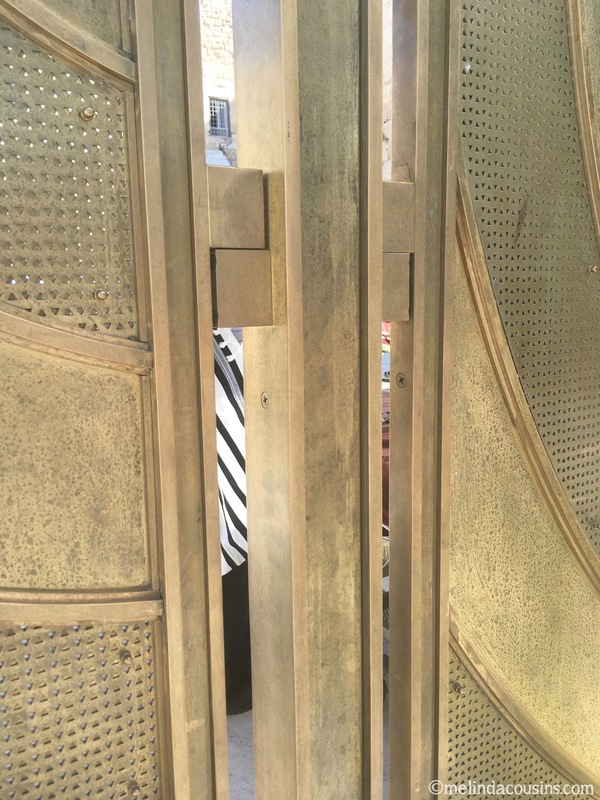 They stand for keeping people in and keeping people out. They often divide. Each one tells many stories, all with at least two sides. 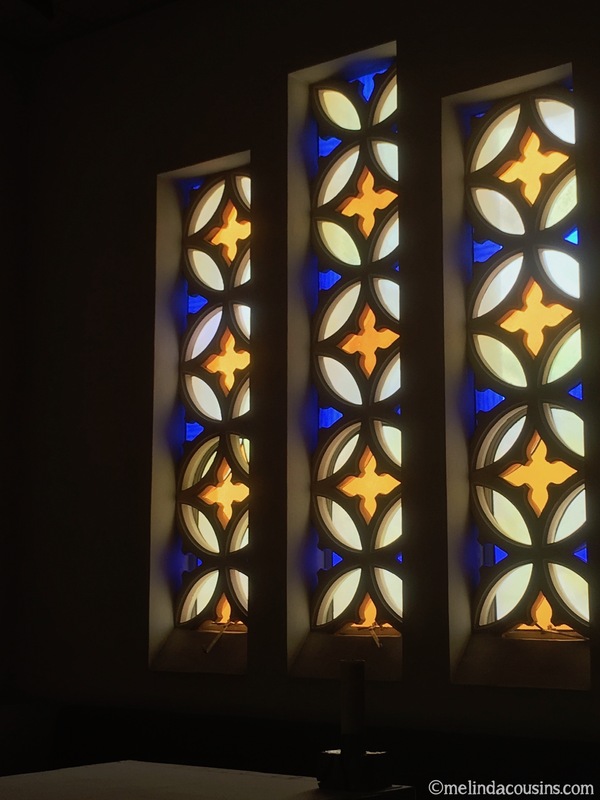 Windows represent visibility, perspective and viewing. They are there not so much to be looked at as to be looked through. Each one invites reflection, and the opportunity to look at things from a new angle. 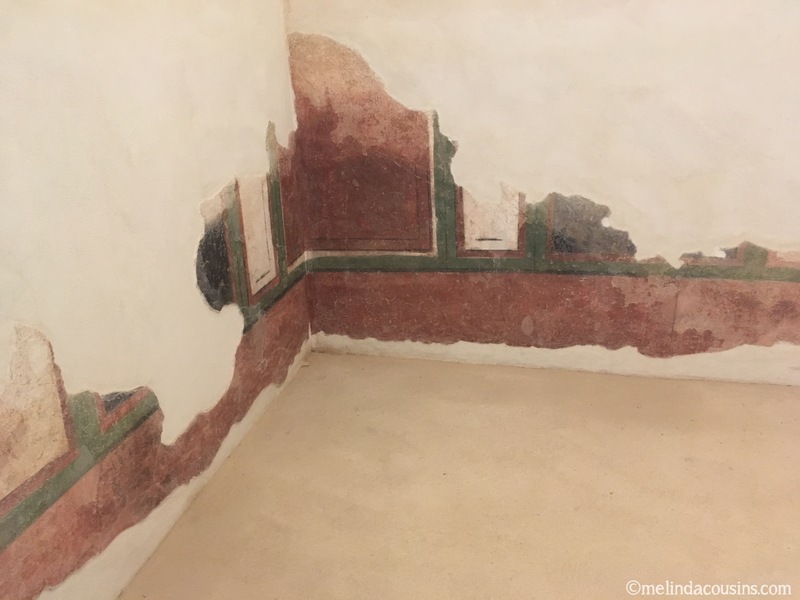 Walls have been part of human history for millennia. 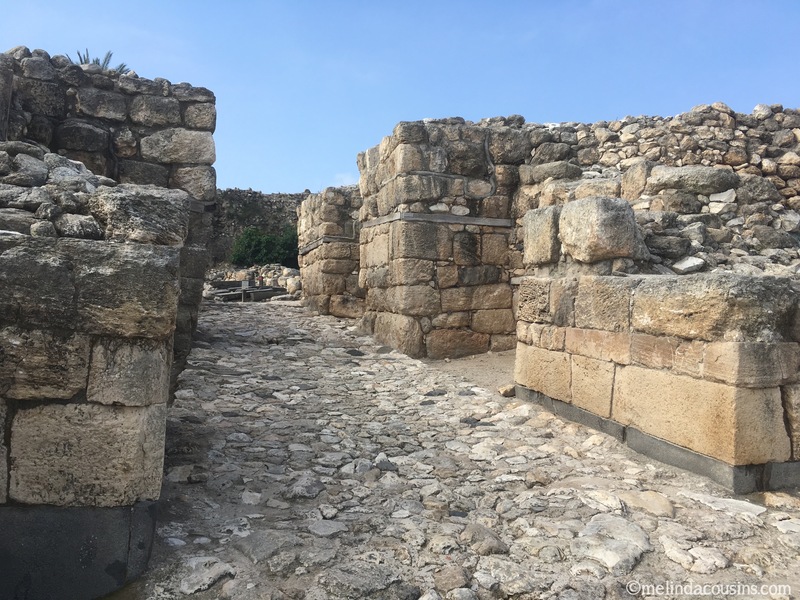 This gate, built by the Canaanites in the second millennium BCE, is what remains of the oldest wall I saw, one which it is probable people like Abraham would have passed through. 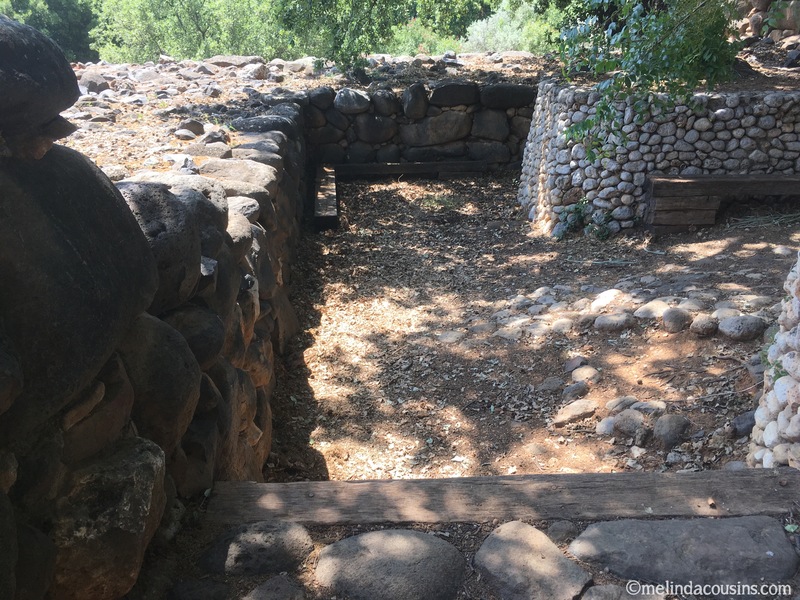 It’s at a site called Tel Dan, where there are also these ‘newer’ Israelite city walls – dating to the 9th century BCE. 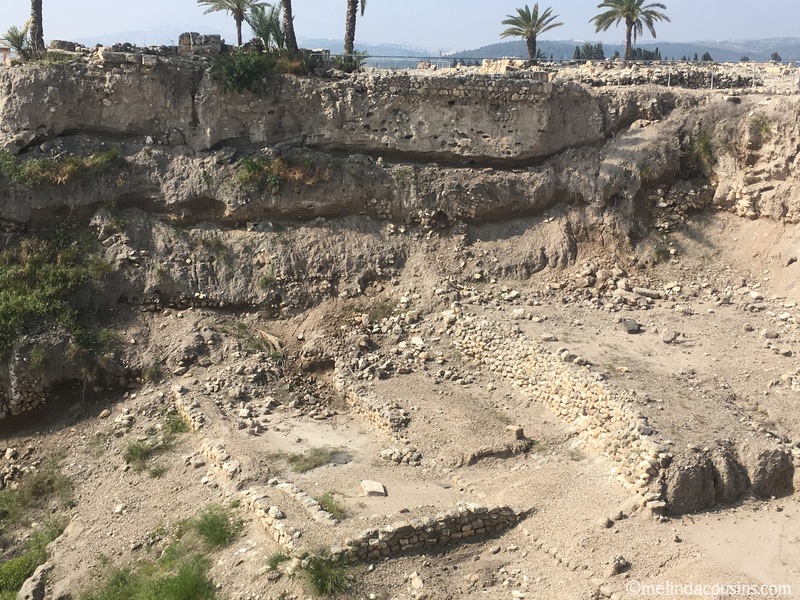 At Megiddo, excavations lay bare the layers of various city walls built over thousands of years in this city which was destroyed and rebuilt 25 times. 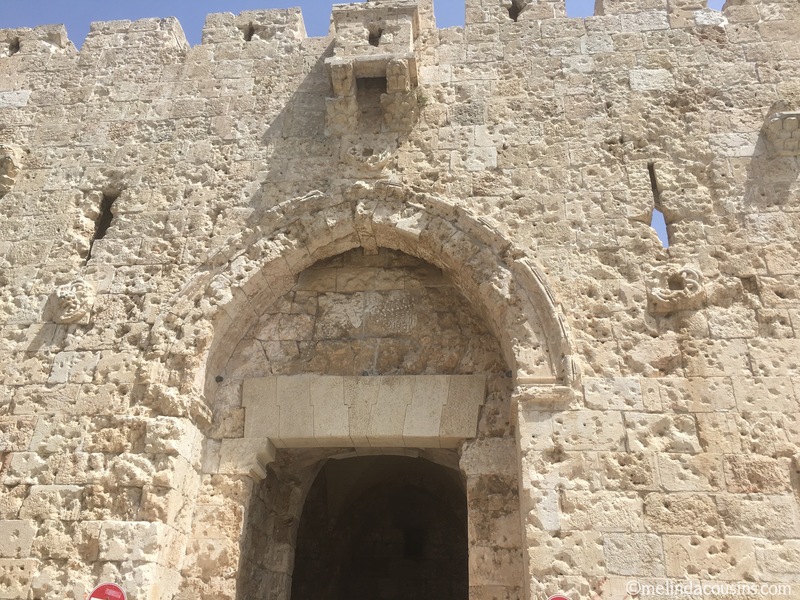 At the entrance to the city are the walls of the fortified city King Solomon built. 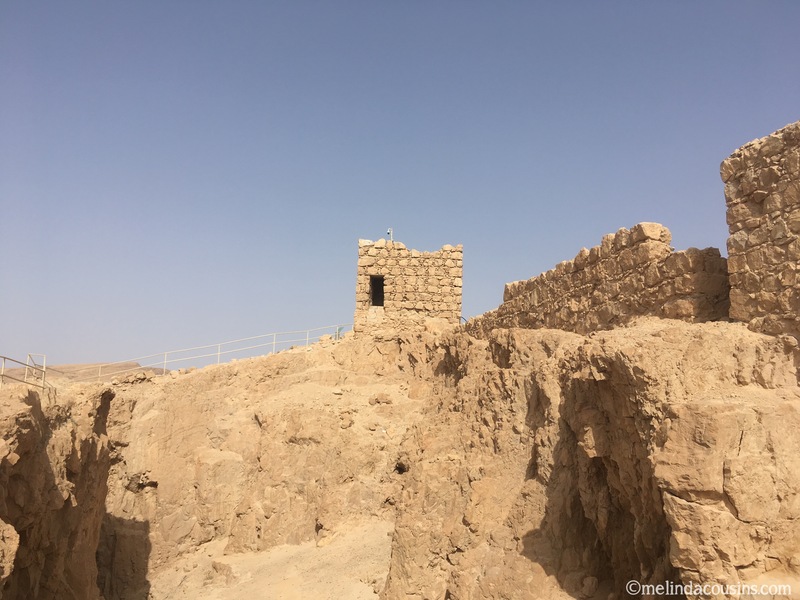 At Masada, the remains of walls built to protect a desert mountain fortress still stand. And inside the ruins of Herod’s palace, parts of the walls of an opulent bathhouse can be glimpsed. 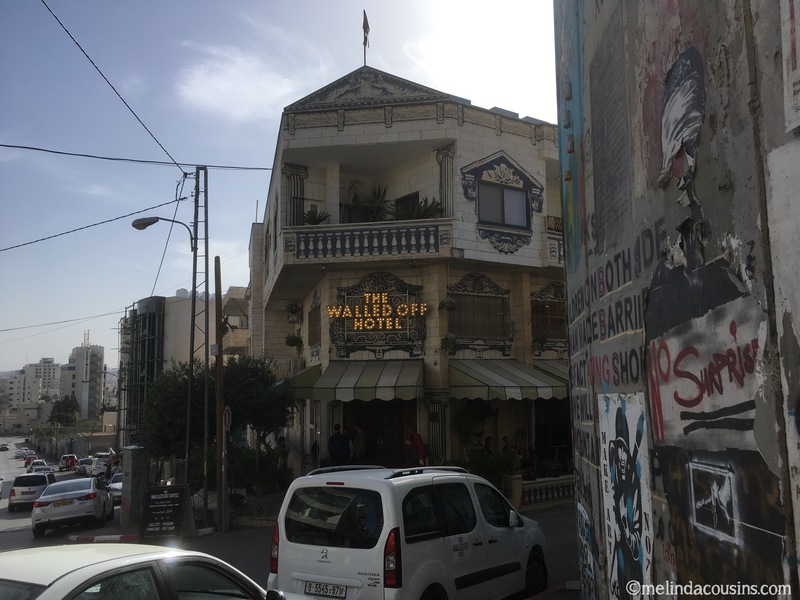 The Old City of Jerusalem can certainly be called a city of walls – it is surrounded by them and contains within it one of the most famous walls in the world. 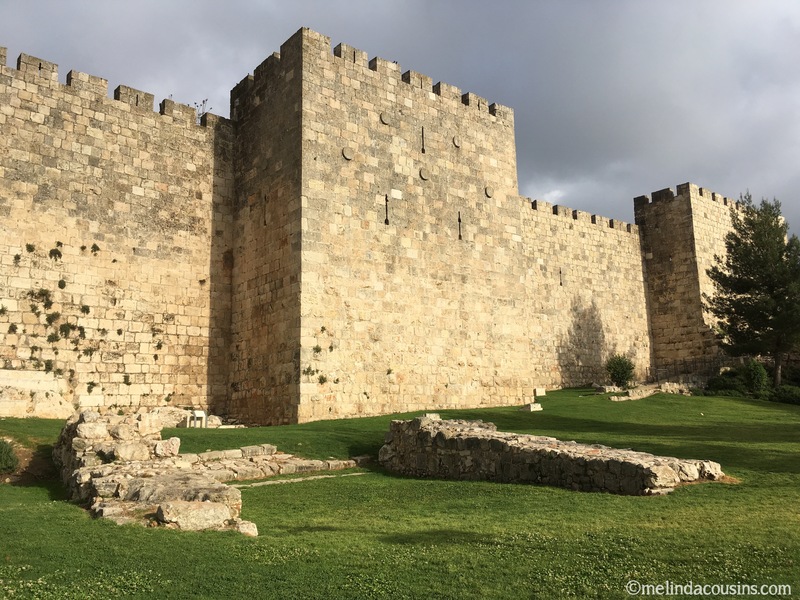 The current walls around the city were built in the Ottoman period, dating to around 1540 CE. In places like this, you can also see the remains of much earlier walls. 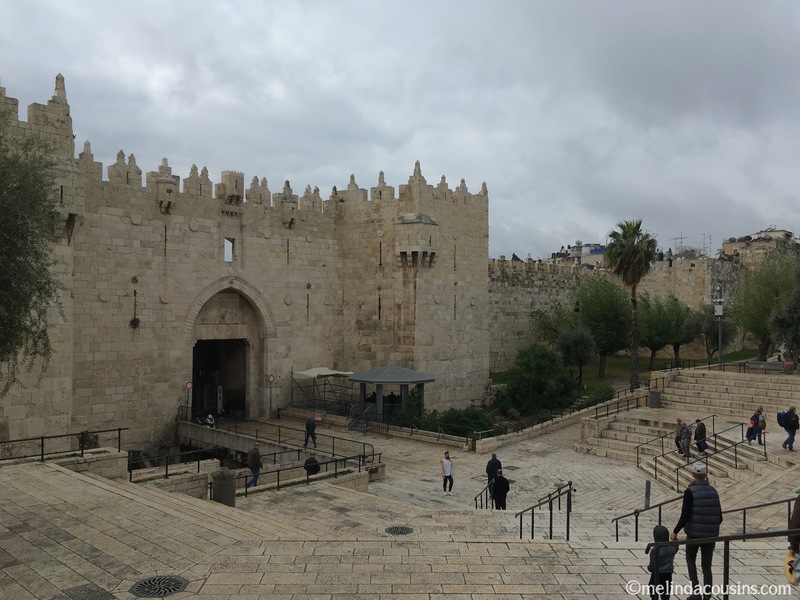 The city’s main northern entrance is the impressive Damascus Gate, built on top of a gate dating back to Emperor Hadrian in the 2nd century CE. 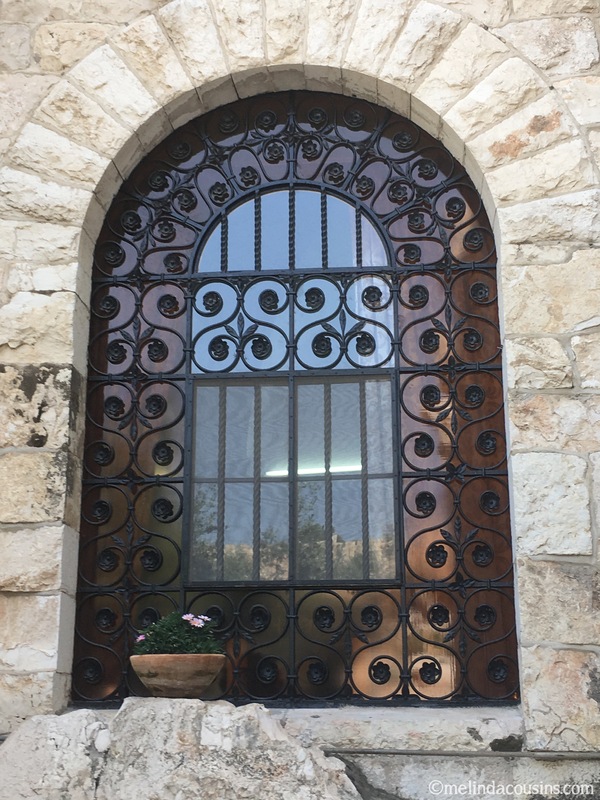 On the other side of the city, the Zion Gate bears bullet marks from the 1948 Israeli War of Independence. 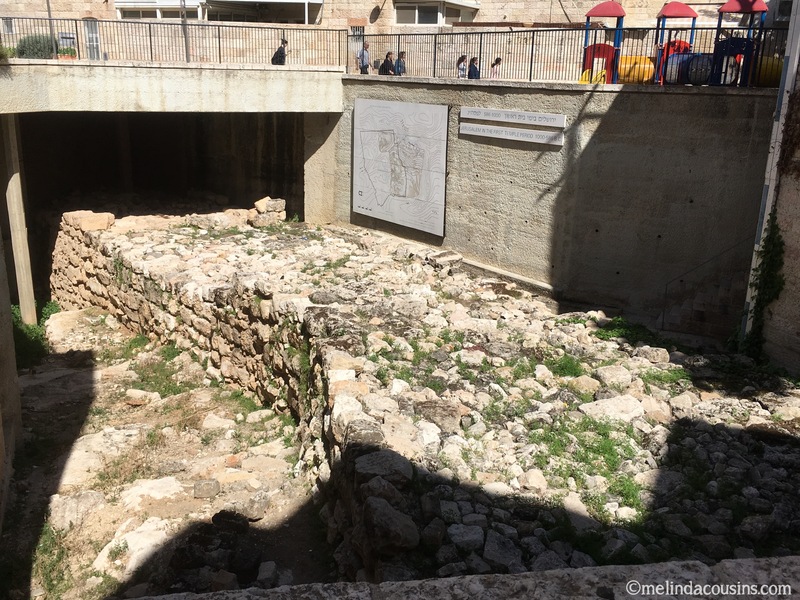 Within the Old City are remnants of much older walls, including the broad wall built by Hezekiah in the 8th century BCE. 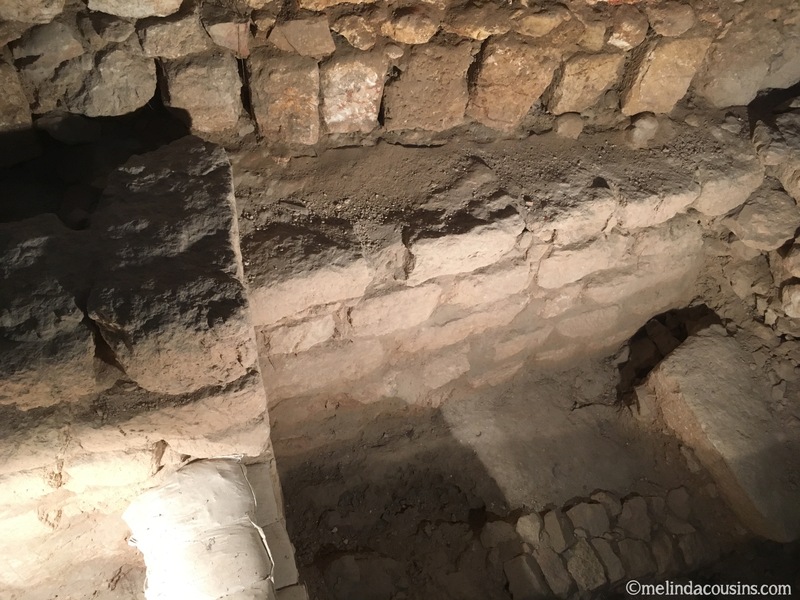 And inside the newly excavated Kishle, remains of a wall built during the Hasmonean period of Jewish independence in the 2nd century BCE. 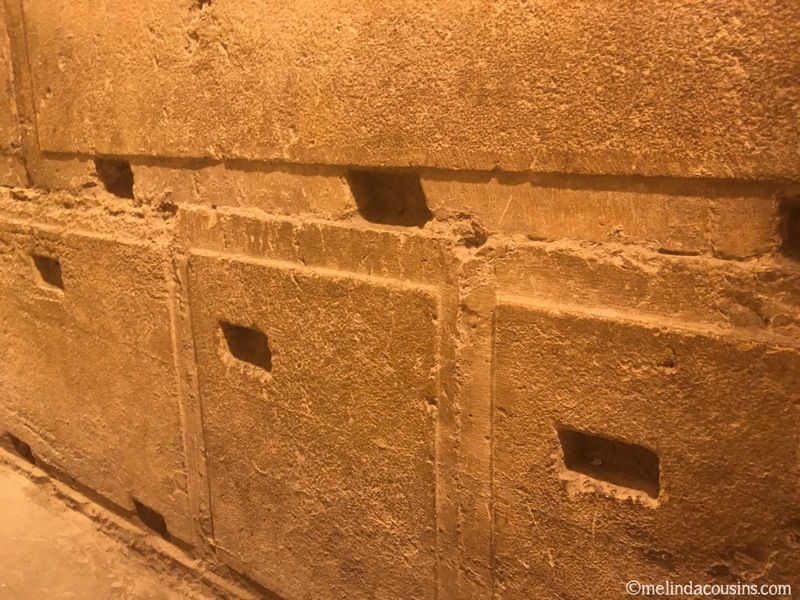 And of course, in the heart of Jerusalem are the remaining parts of walls of the Temple built by King Herod in the first century BCE. This is the Temple Jesus visited, taught at and pronounced judgment upon. 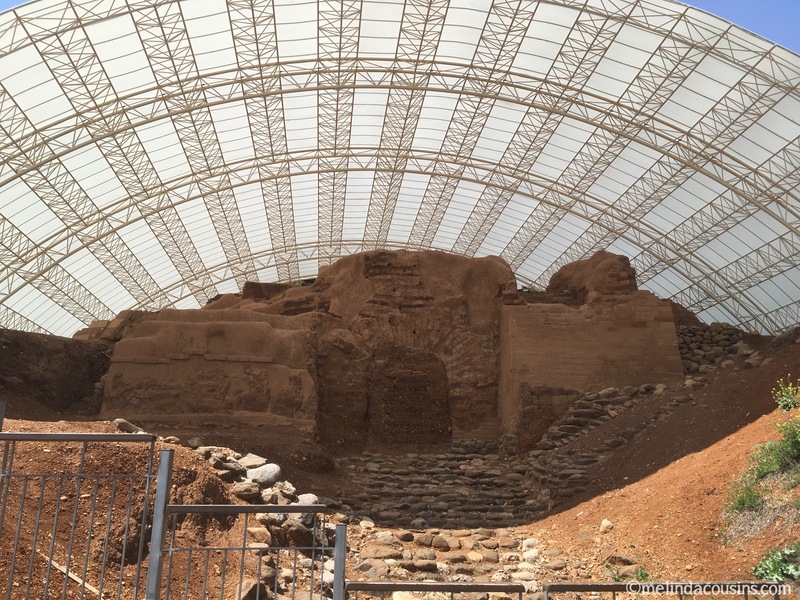 The Herodian stones are massive and impressive, up to 13 metres in length. 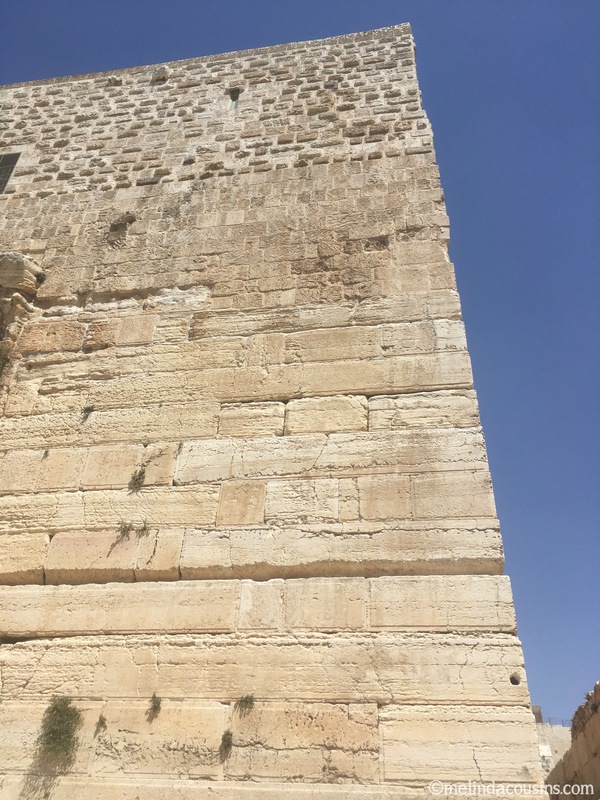 The closest part of the wall to where the Temple was forms a centre of Jewish worship and patriotism in the Old City, commonly called the Wailing Wall. 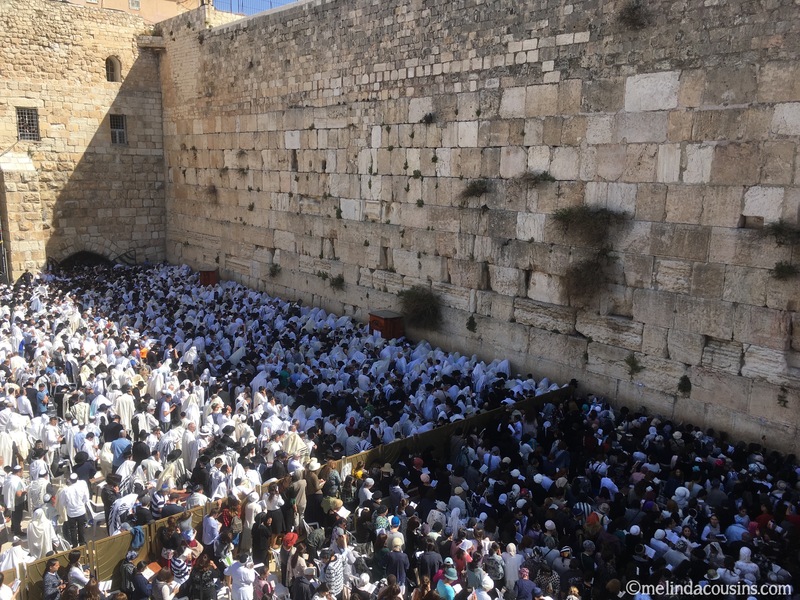 Thousands gathered to received the priestly blessing during Passover. Thousands more came to celebrate national pride on the country’s Independence Eve. 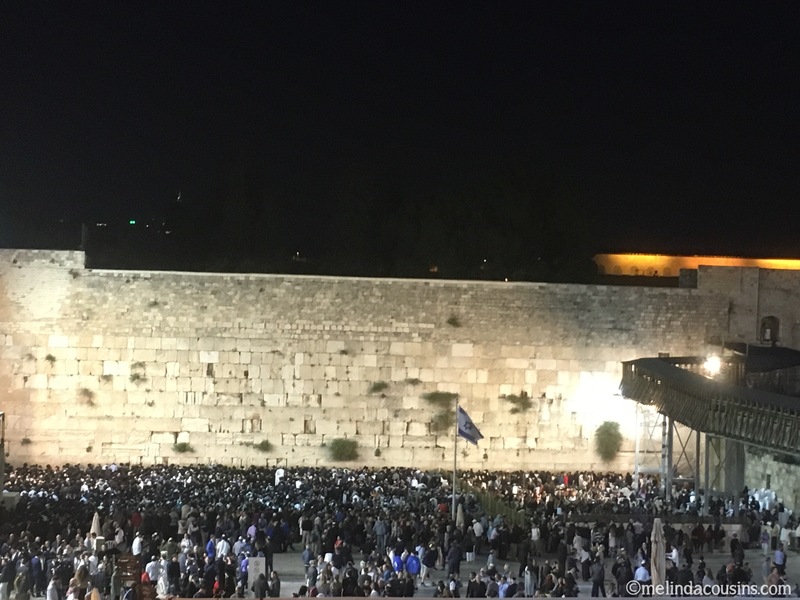 Spending time at the wall to welcome in the Sabbath is a pretty amazing opportunity to see something of the celebration and joy that Jewish worship can encompass – in a multitude of different ways all at the same time. 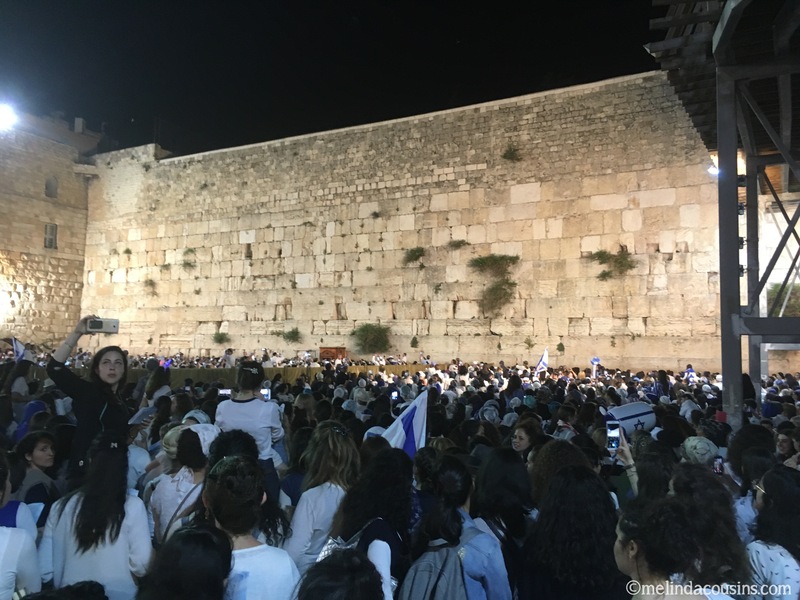 The plaza in front of the wall is divided by a different kind of wall, separating men from women, leaving mothers to stand on chairs craning to look over as their sons undergo their coming of age ceremonies. 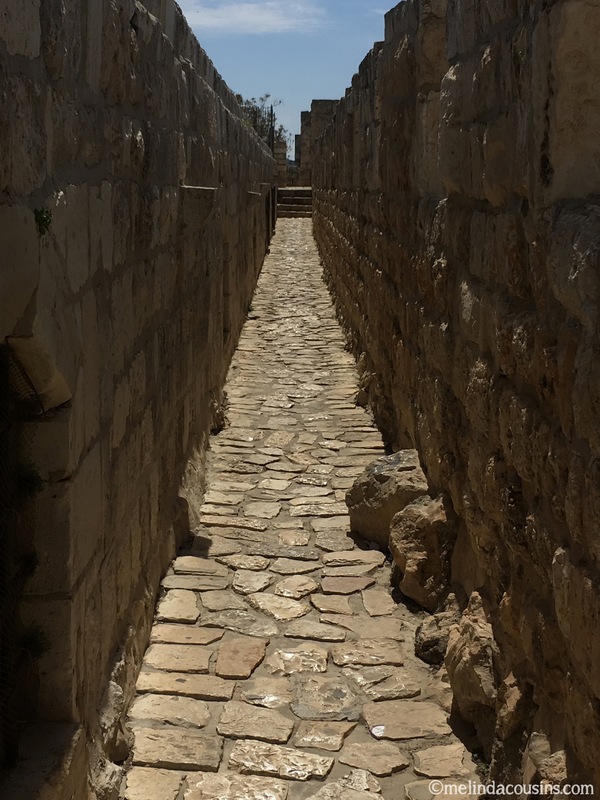 One of my favourite Jerusalem walks is up on top of the Old City walls, where it is usually quiet and you can look down into the city upon all these things and ponder the stories they tell and the values they signify. 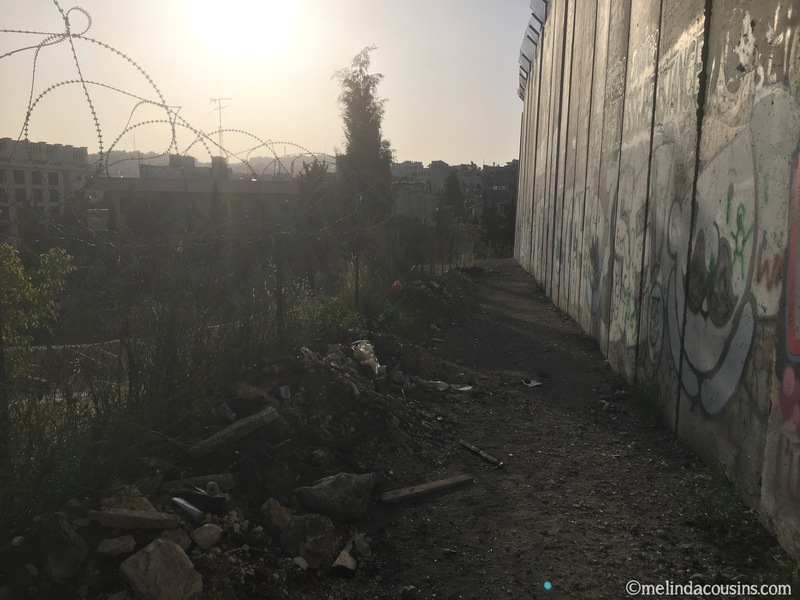 And you can also look outside the old city and in the distance catch a glimpse of the most modern of the major walls in this land … the Separation Wall. 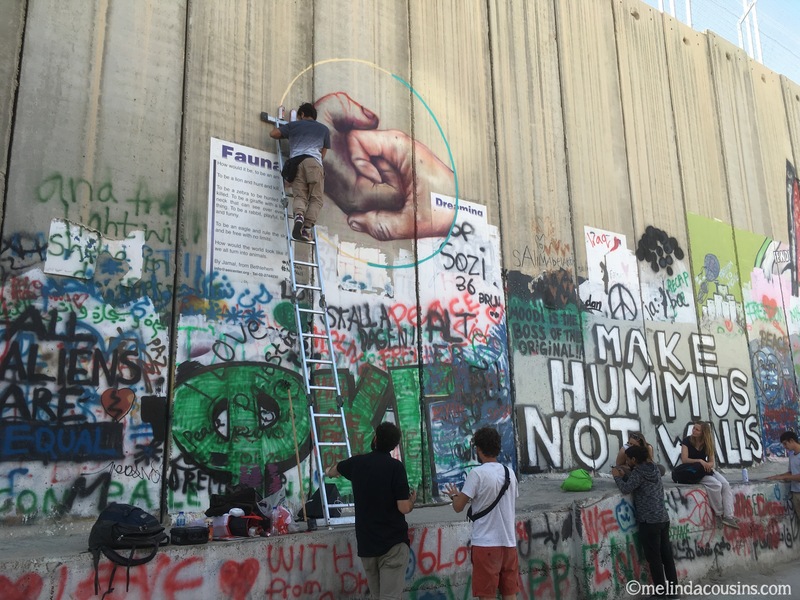 Israel started building this wall in 2002. It is actually only a wall when it surrounds towns. For most of its length it is two barbed wire fences with an exclusion zone in between. 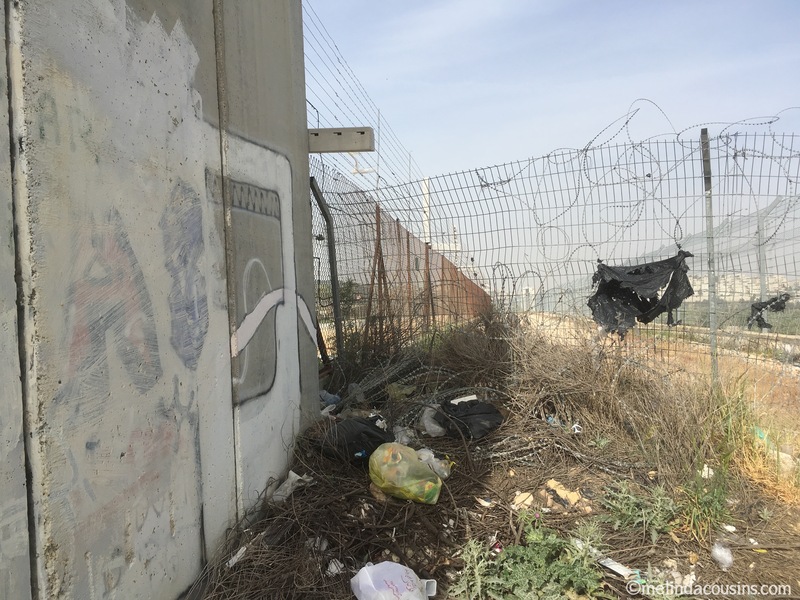 The Israelis say this is a security barrier to protect them against terrorists. 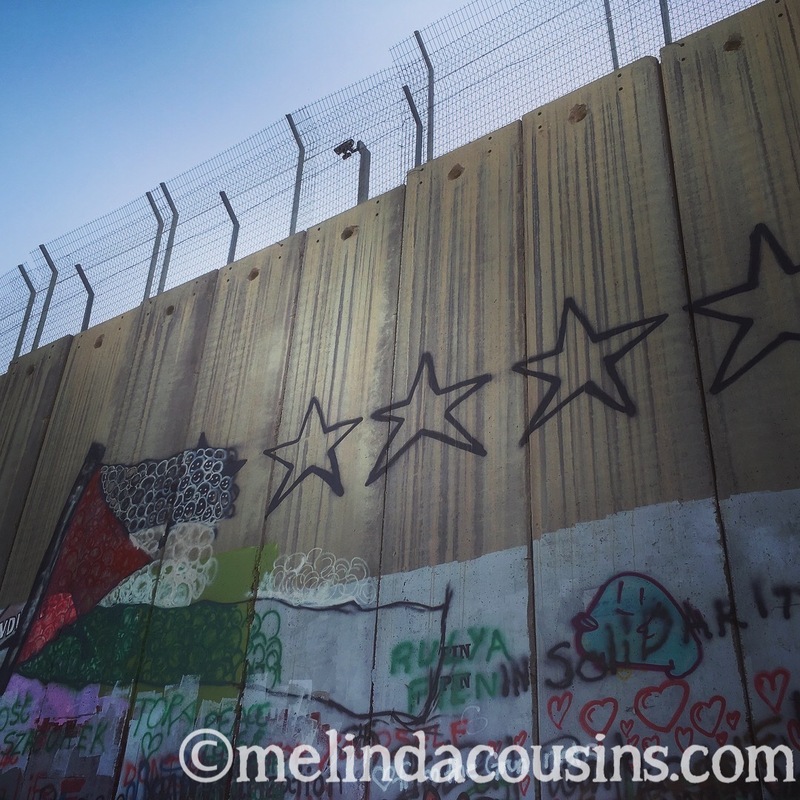 Many Palestinians call it a racial barrier or apartheid wall. In 2004, the International Court of Justice found that the wall violates international law and in response the United Nations passed a resolution 150-6 (with 10 abstentions) condemning it and calling on both sides to meet the obligations they had already agreed to under the ‘roadmap’ to peace. I find it difficult to comprehend that my country was one of the six. Politics aside, it’s hard to overestimate the psychological effect growing up inside a wall like this has on children. 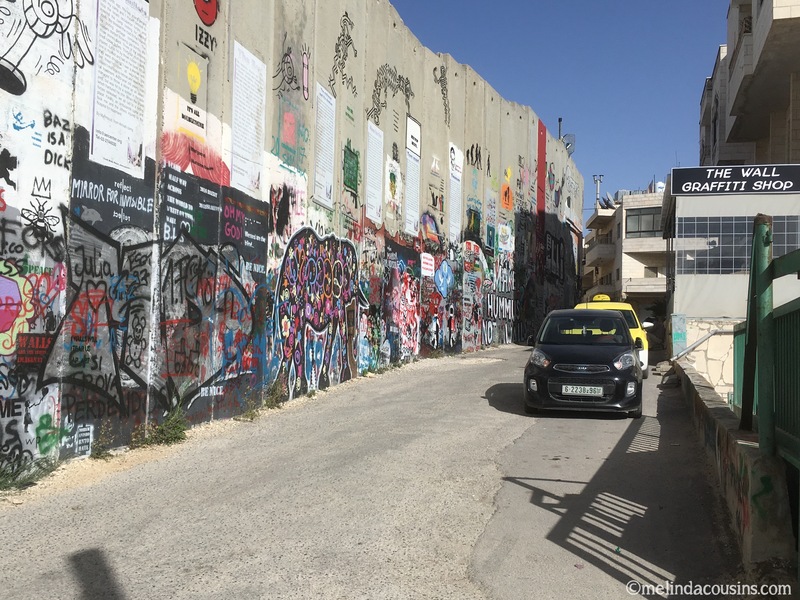 Frustrations and heartbreak are expressed by locals and visitors alike in graffiti and art all along the wall. 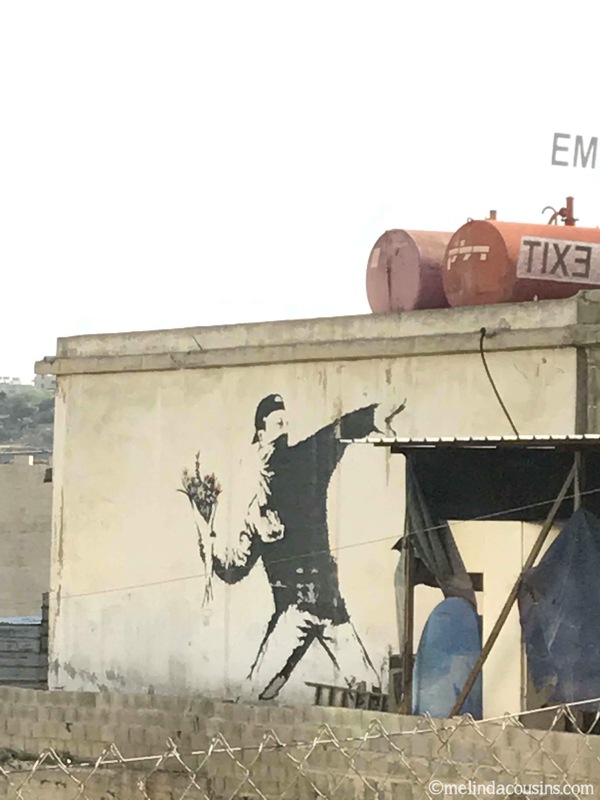 Famously, UK artist Banksy has painted various iconic images of subversive peace on it. 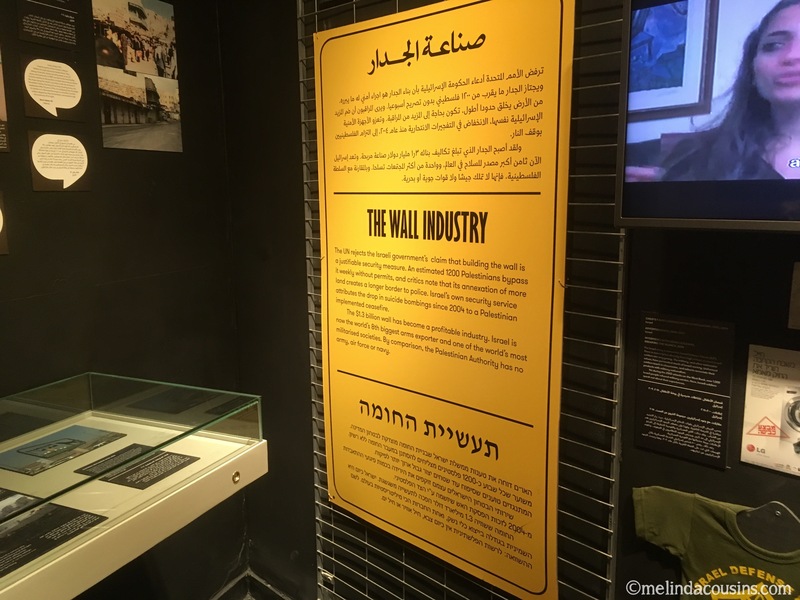 Inside is a small museum examining various perspectives on the impact of the wall. 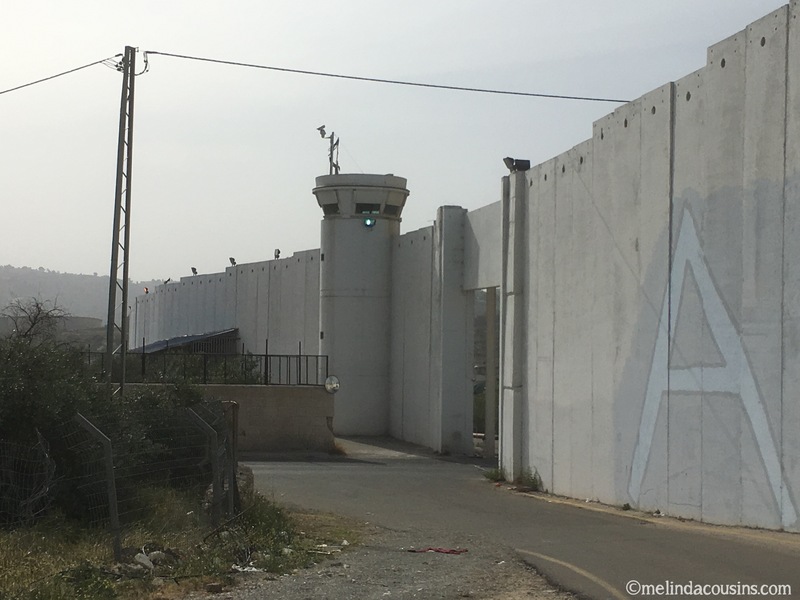 Most mornings, those workers who have the right permits line up in this corral to cross the wall from Bethlehem into Jerusalem. Unless of course it has been closed for some reason – which seems to only be for those who live and work here, not tourists. Even when it is open to all, crossing a checkpoint with ease when most around you are questioned and searched is certainly a humbling experience. 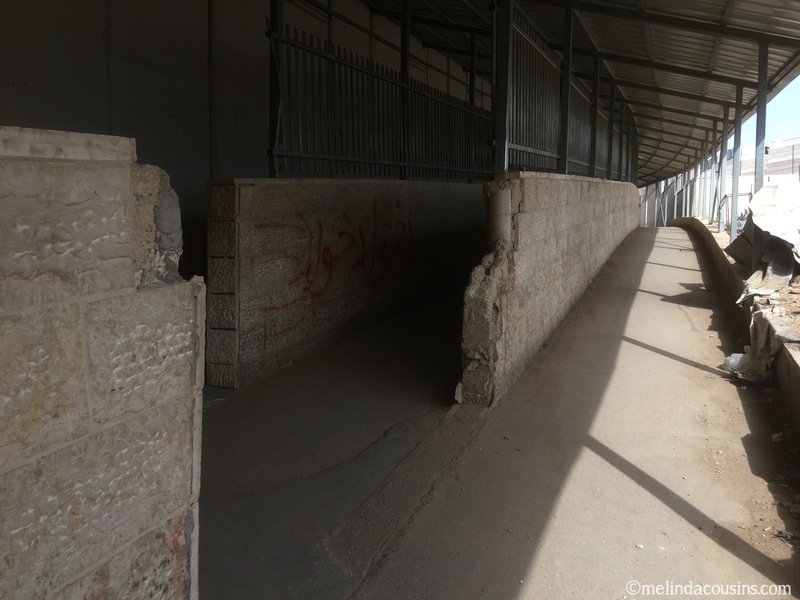 Near the wall are a number of ‘refugee camps’ – but quite unlike what that name might suggest to many. 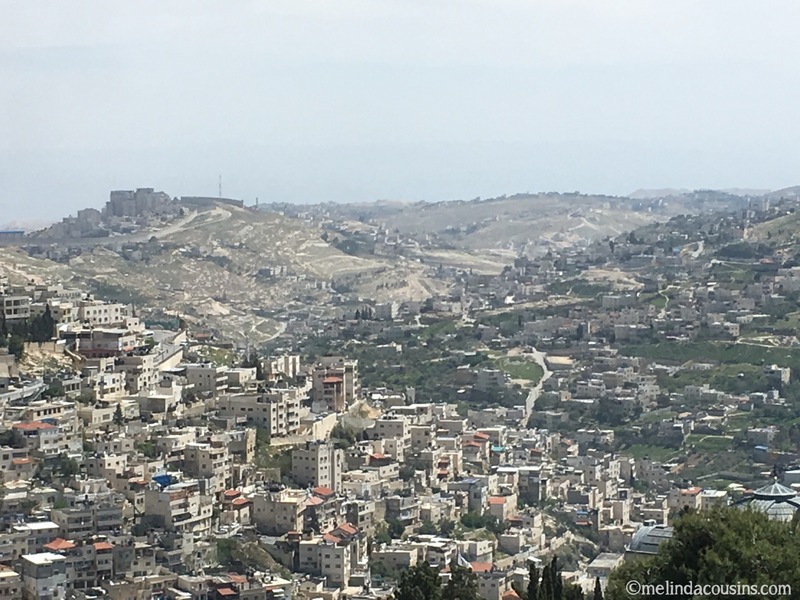 Established just after 1948 and still under UN agency control, Aida camp, for example, is a rabbit warren of streets and apartment blocks home to five and a half thousand people in an area of 0.1km2. 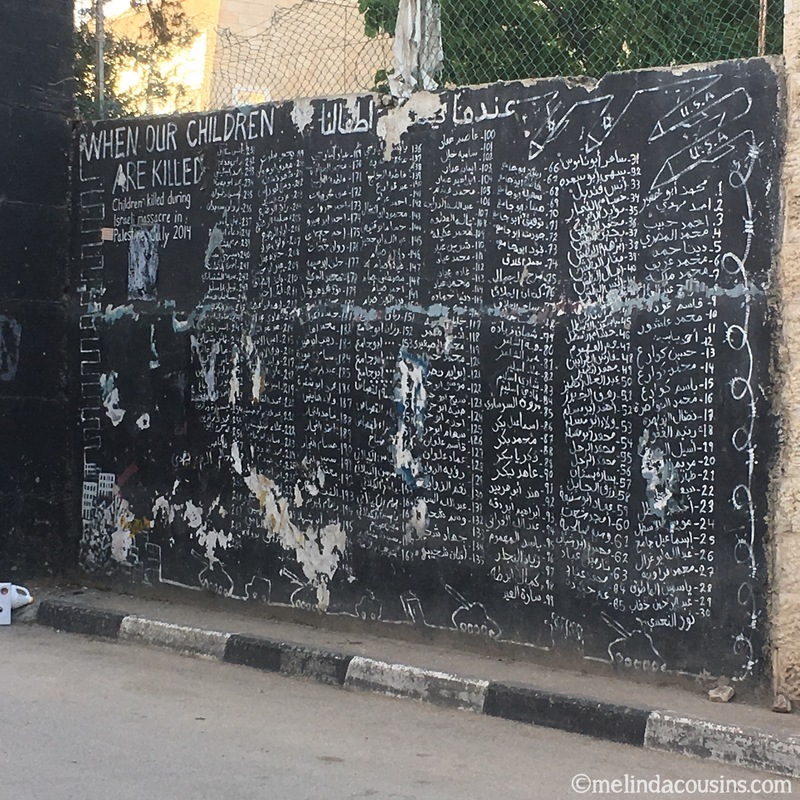 Its residents use parts of the wall as memorials to children killed in fighting with wall security forces. It is hard to see hope here. Surely there must be a better way forward. This kind of wall grieves me and I believe it grieves my Father. 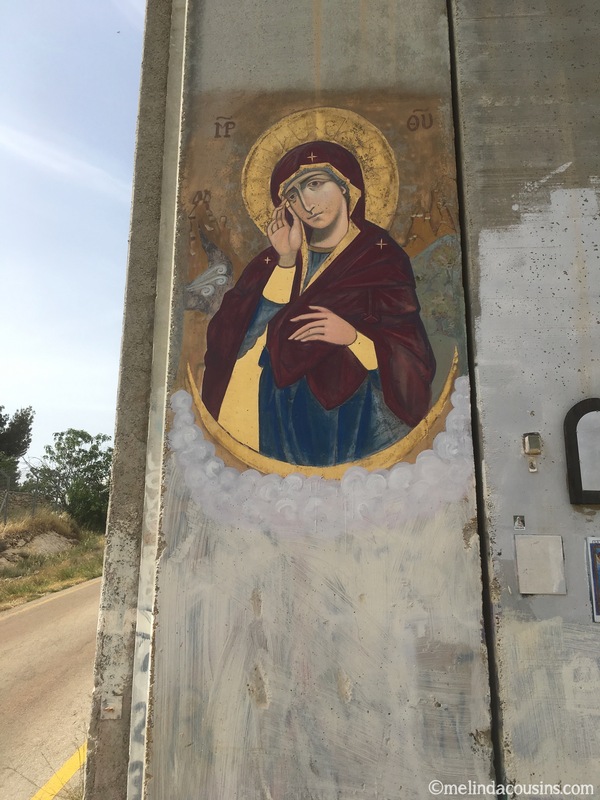 The founder of the Bethlehem Icon School painted this beautiful commission on the wall, a symbol of grief from this town’s most famous mother. I have no solution to offer to this mess. And it wouldn’t be my place to offer one anyway. All I can do is share what I have seen, heard, and felt. 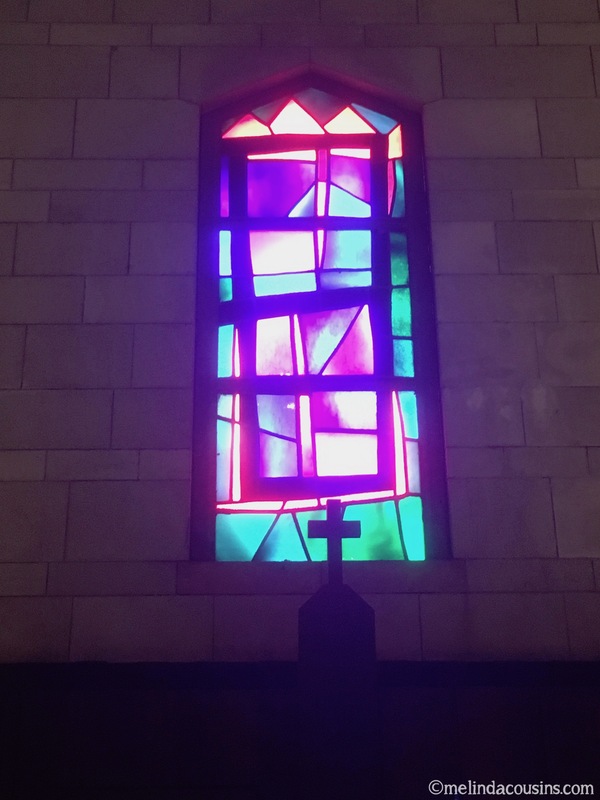 But if there are any glimmers of hope I see in this place it is from the people I met who live there and are seeking to find and walk in ways of reconciliation, restoration, and peace. 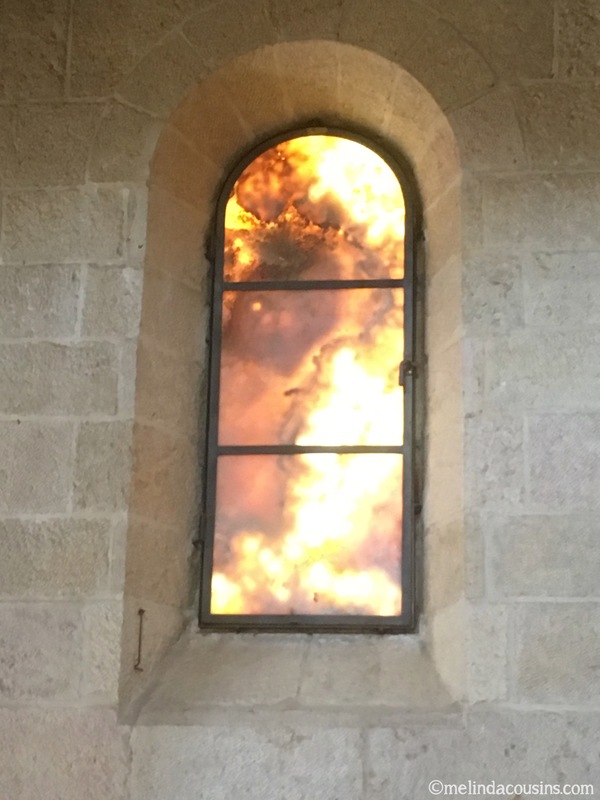 To me, in this place of walls, they are like windows. 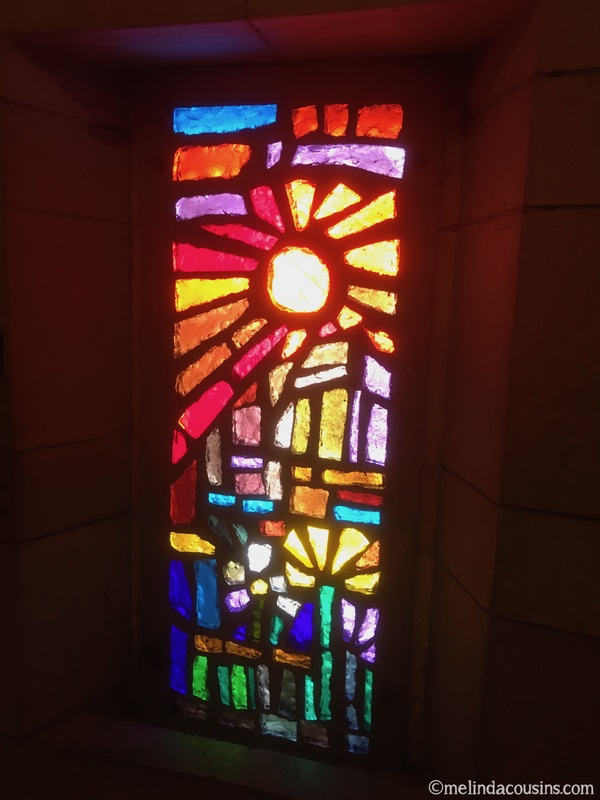 I think of this window in Jerusalem from a church called Dominus Flevit, meaning the Lord wept. 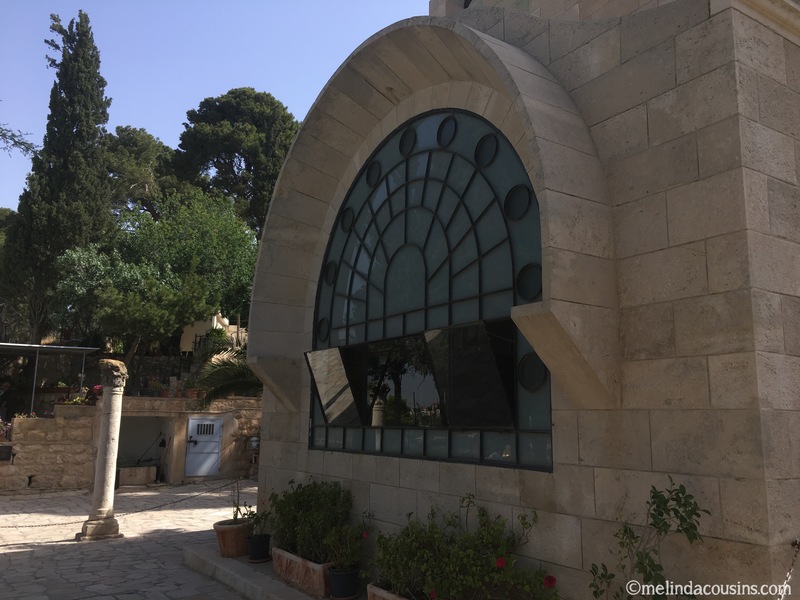 It looks over the Temple mount and remembers the place where Jesus paused to weep over this city. It causes me to ask where He is pausing and weeping today. 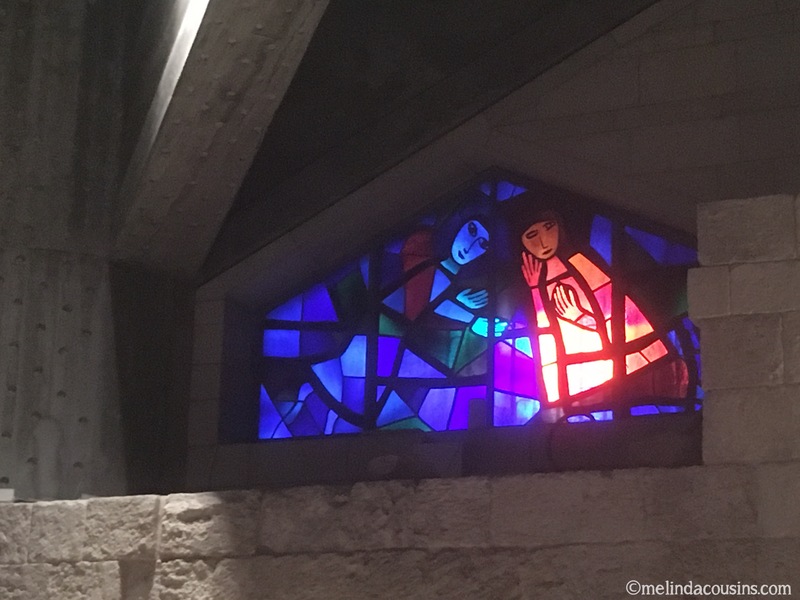 Or this window in Nazareth picturing Mary receiving the most surprising news of God coming in a completely unexpected way. It causes me to hope that just because we can’t think of a way forward doesn’t mean there isn’t one. God can still bring Peace in unexpected ways. 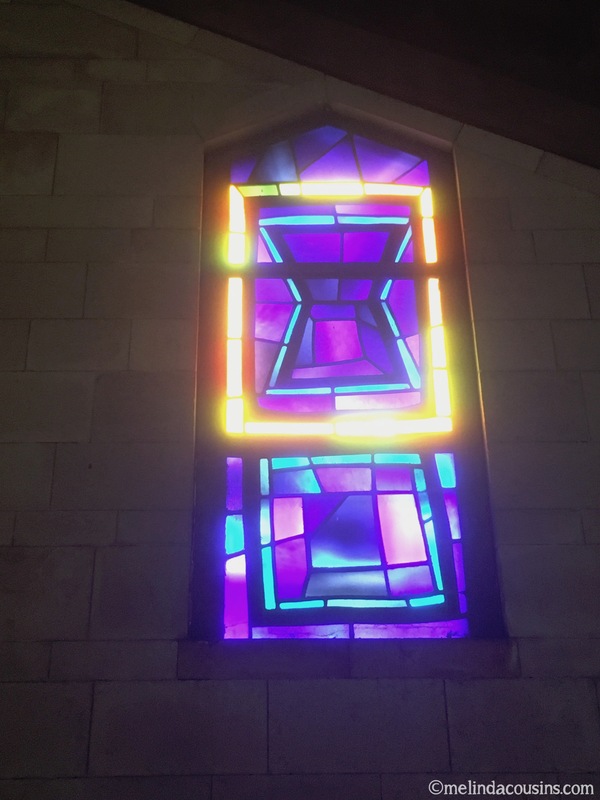 Most frequently, I found myself struck by many of the modern, abstract stained glass windows we saw in various churches in this land. And the way each one reflects light in its own unique, often surprising, way. 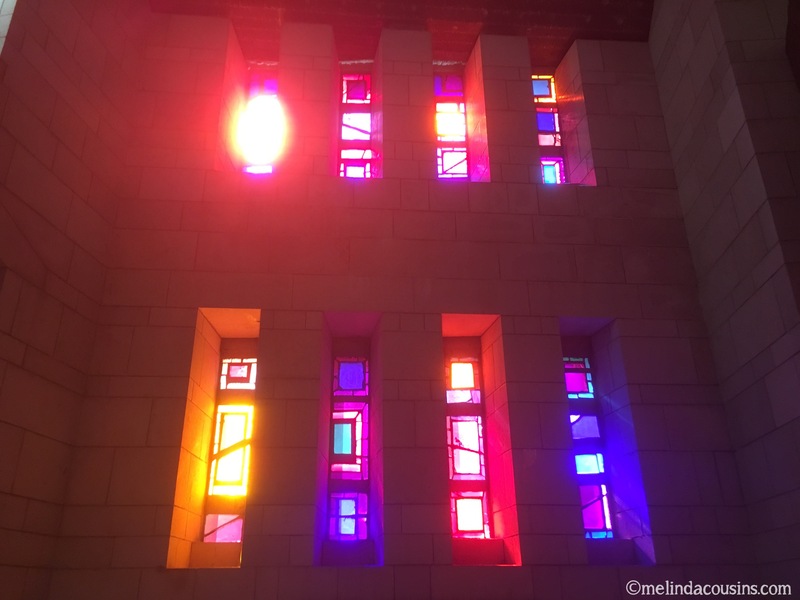 From Nazareth to Bethlehem, Jerusalem to Galilee, I found myself drawn to the ways they let in and refract the sunlight. The same sunlight, yet each has its unique beauty depending on its shape, colours and position. 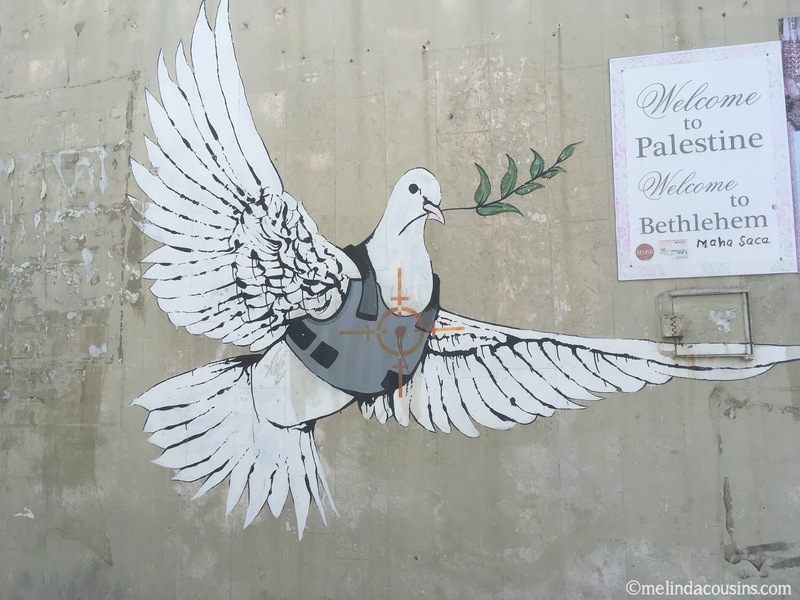 To me that is a beautiful metaphor of what it means to be people of peace. People of light. People of faith. And I met people like that in this land. People whom I continue to pray will find unexpectedly beautiful ways to shine light in the darkness. 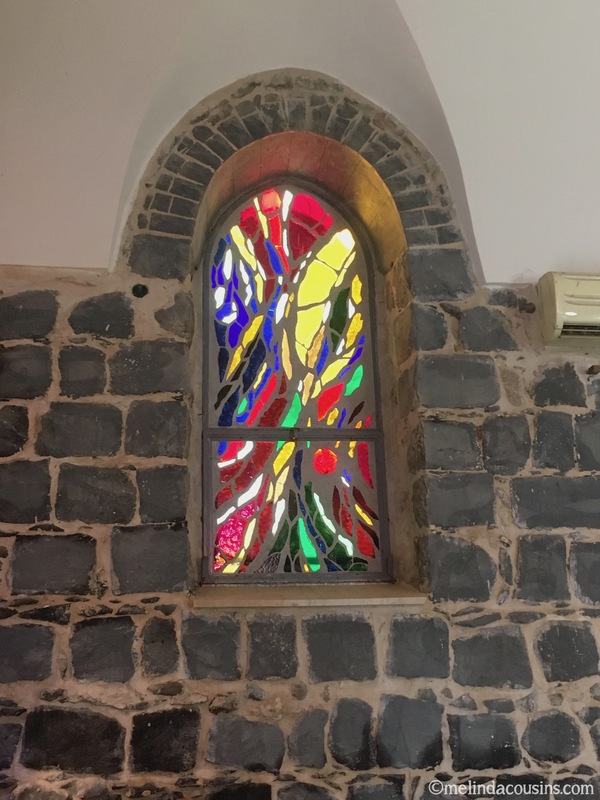 A particular favourite of mine are these windows in a church at Tabgha on the Sea of Galilee. They are made of very thinly sliced alabaster. I am attracted to their incredible beauty, but I’m also intrigued by their very existence. 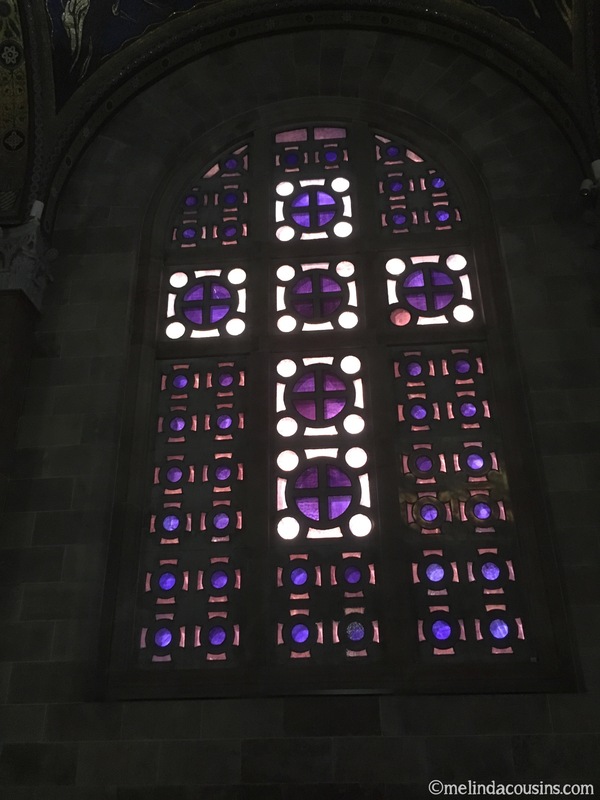 Windows made of stone. Who imagined that possible? 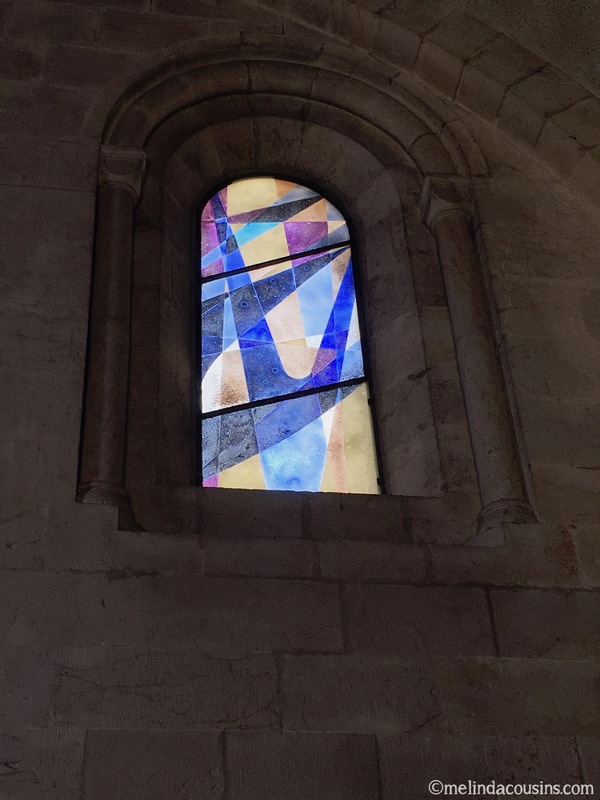 And is it therefore possible that there might be a generation in this place who are able to imagine the impossible and even somehow turn walls into windows?